With all the noise President Trump is making about bringing back jobs from overseas and trashing the NAFTA agreement, you’d think global trade is coming to an end. And as wonderful as it is to see jobs come back to Los Angeles, San Diego, San Jose and San Francisco, California companies need to hire outside the US for a number of reasons which you’ll read below. It’s an international world of trade and commerce and there’s no way we can opt-out of it. For instance, we have to compete and build a business monopoly by finding and working with the best SEO Company offering the most impressive mix of SEO and Content Strategy available. California businesses need to leverage experts in various disciplines, but at a cheaper price. Since US wages and USD are going to rise from 2017 to 2020, and US competitiveness will therefore drop, you have to look outward for solutions. Will you find them in India, Mexico or China? Funny thing is happening in Canada. Our money is losing its value which means Canadians have to work harder to get the same benefits. That makes some Canadians eager to be educated, grow, improve and offer outstanding results to clients. The lower cost is just icing on the cake. 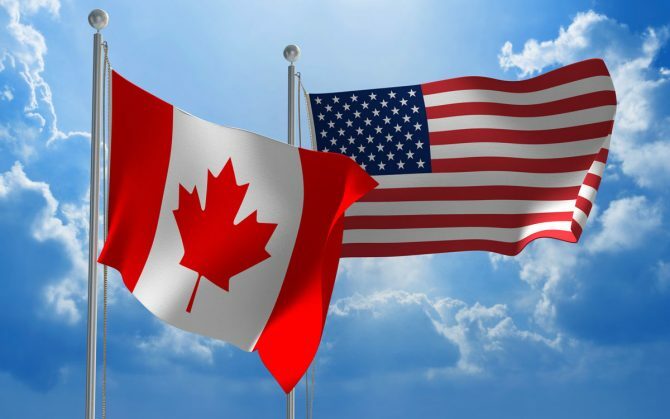 Fortunately for California businesses, Canadian culture and values and language are very similar. There’s no cultural misfit, no friction, language barriers or emotional disconnect. Our economies, news, technology and laws are so similar, we don’t even see a border. 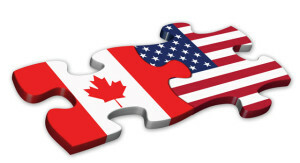 The relations between US companies and their Canadian connections is excellent. I’ve found working with American clients to be much better. Your business leaders are more open minded and confident (due to business culture and bigger markets) and that is what precedes success. As you’re putting together your 5 year plan for digital marketing and advertising, keep in mind that the best provider might not be in San Francisco, Sacramento, Los Angeles, San Diego, or San Jose. It’s up here in the great north. Our market’s not great here, which is why we’re very loyal and optimistic about working with our neighbors south of the border. I’ve worked with clients of all industries in Los Angeles, San Jose, San Francisco, Sacramento, Napa Valley, La Jolla, Oceanside, and firms in Boston, New York, Palm Beach, Houston and Chicago. With the launch of this new digital marketing business, I’m hoping to do more solid work for California companies. 18 years of experience, studied expertise, creativity, and cost effectiveness make me the best choice to be your SEO Company. 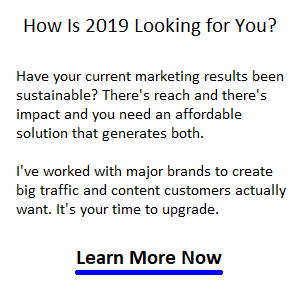 Make sure we connect so I can help you generate significant results as I have for brand name hotels, product manufacturers, IT firms, building products suppliers, insurance companies, banking, mortgage, real estate, and ecommerce retailers. You can read up further on my SEO, content, and conversion creation skills. I create what the automated solutions can’t — real traffic building, differentiating, customer satisfying results. The most rewarding experiences I’ve had in SEO services have been with clients in my favorite place: California. I’m looking forward to visiting you and having you rely on me for sustained excellence. Related posts: Housing Market 2017 | San Francisco Housing Forecast | Los Angeles Housing Market | Toronto Housing Market | San Diego Housing Market | Real Estate Agents| Future of Real Estate | SEO Los Angeles | SEO San Francisco | SEO San Diego | SEO Boston | Local SEO California | Blogging SEO | US Real Estate | High Quality Content | CRM for Real Estate | Urban Land Institute Forecast | SEO for Insurance Companies | Buyers Guide to Canadian Real Estate | Auto Insurance Los Angeles | Auto Insurance San Diego | Car Insurance San Francisco | Car Insurance Sacramento | Car Insurance San Jose | Luxury Car Insurance | Costa Rica Real Estate | Should I Sell My Home?